The fact that only 30-40% of the products sold at Whole Foods are organic is very troubling. That means you are paying premium prices for food laced with GE and GM ingredients. People don’t refer to it as Whole Paycheck for nothing. Shopper beware. I have recently returned from Austin where I lived in the 1980’s. When I first arrived in town Whole Foods Market had just gone into business with one store on Lamar Blvd in downtown Austin. The original structure was a simple cement block rectangle. It had one floor and was very basic. 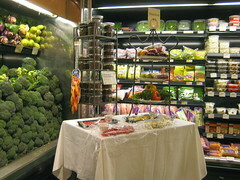 Despite the no frills environment it was exciting and different from any health food store I had been in before. It had an in store organic cafe run by Martin Bros., a local concern that had teamed up with Whole Foods to offer a southwest gourmet menu consisting of tacos, innovative salads, and an assortment of beverages and smoothies. Nothing in the store had sugar. 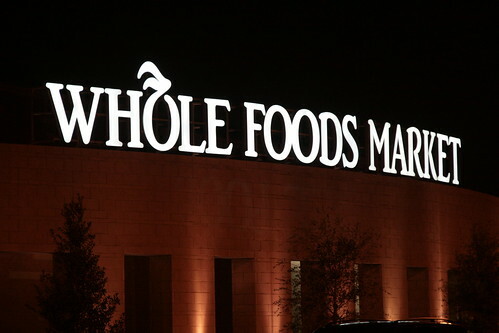 A few years later Whole Foods opened two new stores. One in north Austin, the other in South Austin. These were state of the art markets that were innovative and represented a design departure from other boring supermarket chains that were not imaginative and offered no organic products. By contrast,Whole Foods sold healthy products and shopping there was fun! Around that time, John Mackey, founder and CEO of Whole Foods Market, and his wife Mary Kay became friends and clients of mine. I remember John as a very decent and good man. He was earnest, generous and thoughtful. He was also the driving force behind the creation of Whole Foods Market. He is the rare big market CEO who has been in his position from the inception of the company. By my reckoning, John has been at the helm of Whole Foods Market for over thirty two years. Whole Foods Market came into existence because of a natural disaster. In the late seventies the Colorado River that runs through Austin overcame its banks and flooded the downtown. Four small local health food stores were destroyed in the flood, John’s among them. He suggested that the four stores combine forces. That idea was the beginning of Whole Foods Market. Shortly after John opened the new stores in Austin he obtained VC money and began his expansion into Dallas, Houston then on to California and eventually the rest of the country. Along the way Whole Foods has changed it’s policies regarding what it would sell. With the VC money and the expansion Whole Foods needed to attract a wider demographic. Toward this end Whole Foods Market started selling many products with sugar. Then they started selling conventionally grown produce loaded with with pesticides and other natural products that contain genetically engineered ingredients (GE). Now Whole Foods Market is selling GM foods. Suddenly, shopping at Whole Foods is not so safe, nor is eating their salad bar or prepared foods, safe either. For instance, I was recently getting a salad at their salad bar in Boulder,CO where I live. They had one tray labelled organic corn and another tray just labeled corn. I asked an employee if the tray labeled just Corn was GM corn. He said it was, much to my chagrin. Now there is a big controversy brewing over Whole Foods selling products that have GM ingredients and not labeling them as such. My experience at the salad bar is indicative of that issue. How difficult is it to put the letters GM next to the corn at the salad bar? But Whole Foods won’t do that because it would chase customers away. 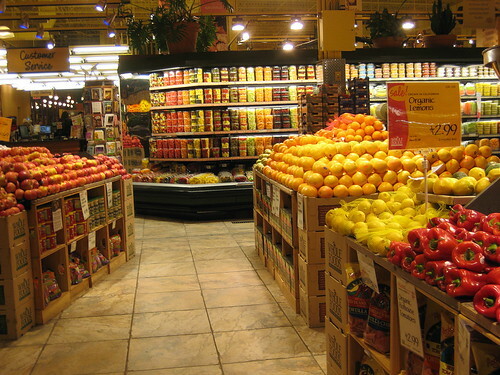 You can no longer assume you are eating healthy food when you shop or eat at Whole Foods. The old caveat applies. Buyer beware. It would seem that Whole Foods Market has put its profits ahead of the health of its customers. Since the company was built on the idea of bringing healthy food to the public it would seem that its current policies are antithetical to its mission. Adding insult to injury, Whole Foods continues to charge premium prices for products that may be unhealthy. Most people buy those products assuming that because Whole Foods sells them they are both safe and healthy. That may no longer be true. Whole Foods Market is in danger of losing the trust and good will it has built up with its customers over the years. A good reputation built carefully over time can unravel quickly. Look at Toyota. Has my friend John lost his way?